Summa Group owner to remain detained in embezzlement case | Russian Legal Information Agency (RAPSI). 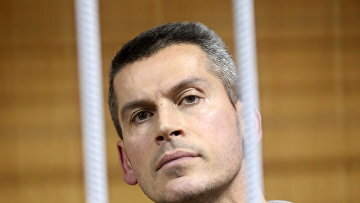 MOSCOW, September 3 (RAPSI) – The Moscow City Court on Monday upheld extension of detention for Summa Group owner Ziyavudin Magomedov charged with organizing a criminal gang and embezzlement, RAPSI reports from the courtroom. The defendant, his brother and co-owner of Summa Group Magomed Magomedov and ex-CEO of Intex construction company Arthur Maksidov will remain in detention until November 5. The court dismissed an appeal by the defendants seeking to overturn a ruling on their detention. Ziyavudin Magomedov and Magomed Magomedov are involved in the organization of a gang, embezzlement of 2.5 billion rubles (about $37 million at the current exchange rate) from the state budget and withdrawal of some of these assets abroad, investigators claim. Magomed Magomedov is also charged with illegal weapon possession. They have been detained along with Maksidov. The defendants have pleaded not guilty to the charges. Two more defendants in the case, who allegedly fled to the United Arab Emirates, were arrested in absentia and put on the international wanted list. 17:38 03/09/2018 The Moscow City Court on Monday upheld extension of detention for Summa Group owner Ziyavudin Magomedov charged with organizing a criminal gang and embezzlement.